Juras hailed from a tribe who once lived in the Flooded Forest. 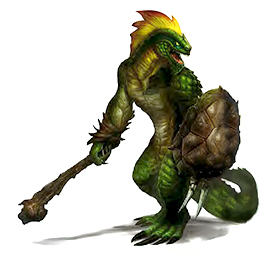 However, attacks from other lizard folk tribes and humanoids from the area forced his tribe to relocate. It was at this time that Juras’s tribe was then attacked by bandits. Juras, still at a young age, was spared but taken as a slave and sold in Mulmaster. There, he was bought by a rich merchant who eventually gave Juras his freedom before the merchant died. Lost in the streets of Mulmaster, Juras found faith in Lathander early one morning when he found himself at the shrine to Lathander which rests atop a hill near the south side of Southroad Keep. Juras knew then that his purpose was to serve the sun god.